The Hive Workshop's Speed Mapping Contest #1. The entire map was created in six days. 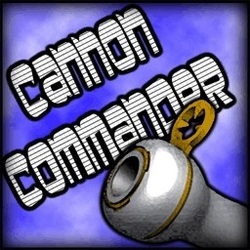 Cannon Commander was primarily designed with two players in mind, but it is also playable single-player. 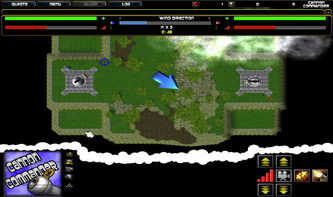 As it's a turn-based game, it is playable by two players using a single computer (Versus Mode) as well. 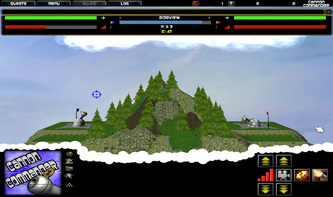 Both player are each given the control over a cannon, and must, in turns, try to take down the other player's cannon. A new random terrain is generated every round, or by request from the players. 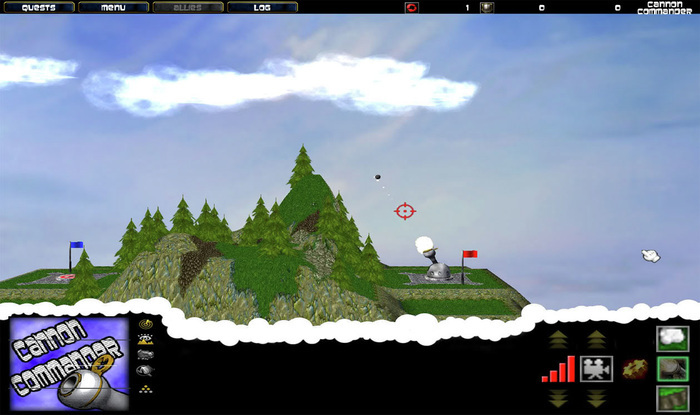 The wind is here to mess with your projectiles, and especially in "3D Platform Mode" it can become quite difficult to hit the target spot-on, so pay attention to the flags and the blue wind speed indicator, as the wind will be randomized by every turn and can affect the projectile by quite a lot. • The map is open source for you to learn. • Only works on newer WarCraft III patches. • 2D and 3D modes. 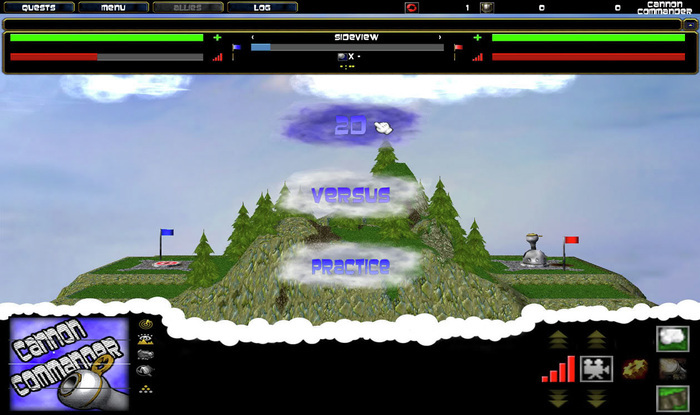 • Practice mode for single-player games. • Q = Increase Power. • Z = Decrease Power. • D = Toggle Fine Tuning On/Off. • E = Cycle Weapons. • F = Fire Cannon. • ▲ = Increase cannon elevation angle. 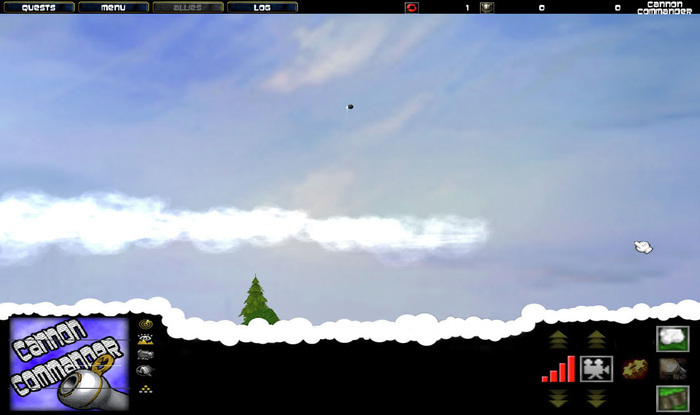 • ▼ = Decrease cannon elevation angle. • ESC = Open request dialog. • ESC = End current game and return to start menu. • R = Randomize wind conditions. • V = Randomize terrain. • Patch 1.24b+ compatibility update. 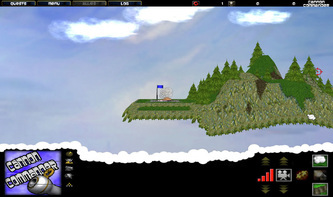 • Fixed a minor bug where you could destroy the flag poles. • Fixed a minor script glitch. • Skies now moves in the direction of the wind. 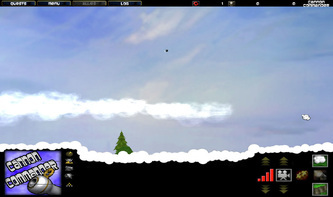 • The 'food' resource now serves as a second projectile display. • Unit preloading has been implemented. • Two more weapon types has been added. • 2D terrain is now actually 2D. • Camera abilities are now visually disabled in 2D mode. 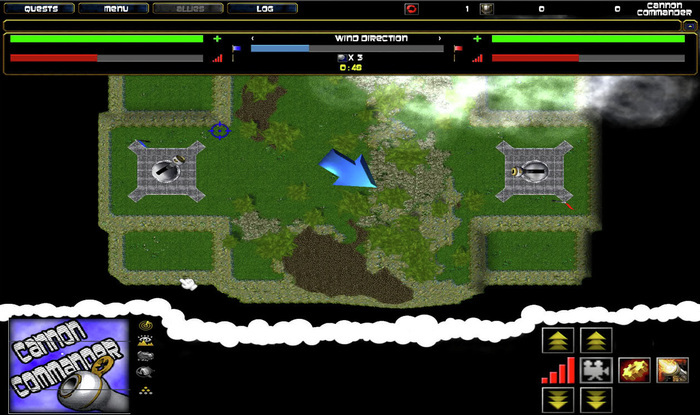 • Terrain can now be deformed by projectile impacts. • Trees can now be destroyed. • Wind strength has been adjusted.